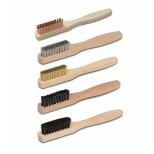 Excellent small utility style toothbrush, perfect for cleaning in tight confined or nearly inaccessible places. 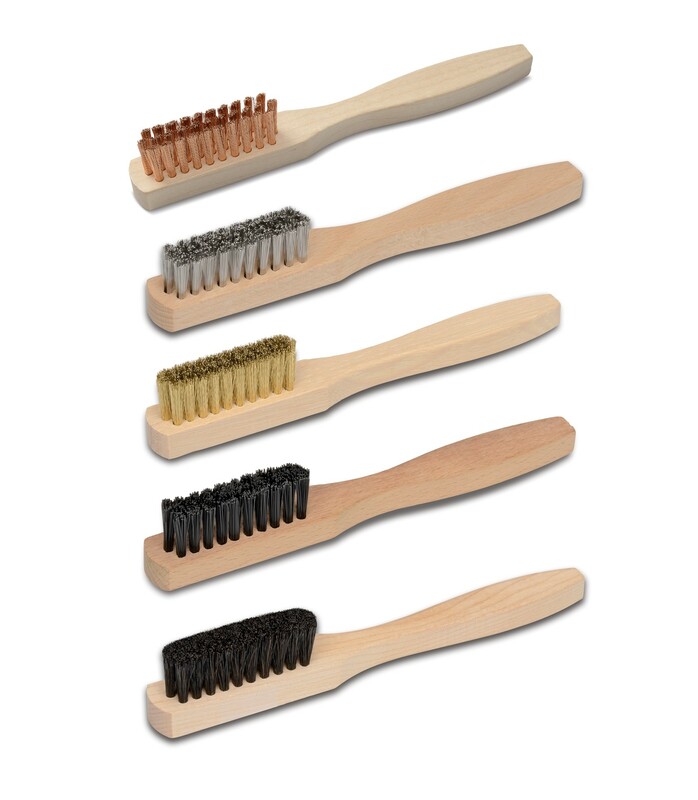 These brushes have 3 x 10 rows of staple set fill material, mounted in a comfortable straight smooth hardwood handle. 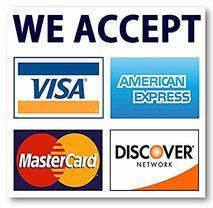 Available with either stainless steel wire, crimped brass, stiff black nylon, horsehair or bronze wire. 04095 3 X 10 Stainless Steel 1-1/2" 1/2" 6" x 1/2"
04096 3 X 10 Crimped Brass 1-1/2" 5/8" 6" x 1/2"
04097 3 X 10 Stiff Nylon 1-1/2" 9/16" 6" x 1/2"
04098 3 X 10 Horsehair 1-1/2" 9/16" 6" x 1/2"
04878 3 X 10 Bronze Wire 1-1/2" 9/16" 6" x 1/2"